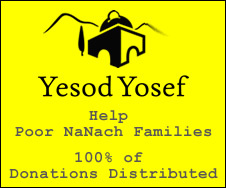 Na Nach Nachma Nachman Meuman: G-d really needs our help now! G-d really needs our help now! There is an employee who is just toooo good at his work. That's impossible since the Boss is happy when an employee does his work well. Pharaoh forgot Josef. Who is the King and who is the slave? Pharaoh's job was to do to the brothers what they did to Josef, but then he thought he could himself replace Josef. That's when Moses comes in.. Moses could have place Josef back on top, including himself by simply letting Aron tell Pharaoh that He Must Participate in Bringing Josef to Schem and that the slave-tribes would now remain with Josef. Moses was no dummy and if he used the old trick Jacob had used on Laban, and he didn't let Aron speak for him, it was because he was up to something very frightening. Instead of a three day party, 40 years in the desert and a three day fast and 3000 years of exile, but... Moses had a plan. Moses was a VERY humble man and he realized it was possible to bring everyone to the level of Josef therefore he sacrificed his own position and brought everyone up to his level. Korach knew this but was of ungrateful nature and not fit to be any kind of leader according to the laws laid down by Jitro. When an employee is tooo good it means he is able and desires to throw out the founder and owner. Am Israel has no leader since we are all on the ultimate level of Josef...thanks to Moses...those who follow his commandments... and have no fear in our hearts which we prove by not following after false leaders and finding the true leader of the generation. The true leader of the generation can only be 1...The true leader of the generation can only be ONE. The only thing he needs from us is to keep our "brit mila" oath of the word, which is the promise to take the bones of Josef out of Egypt (not kept by a single person leaving Egypt (Moses doesn't count here). Since we didn't take out Josef, Rabbi Nachman left his bones (only) in Uman to allow us to keep this promise since he is the "Yosif al Yosef ben acher" (son that is an addition to Josef and is different from his brothers) Benyamin was rejected by Rachel who gave birth to Josef with her tears and gave birth to Rabbi Nachman with her tears. Esther made no mistake when she asked for another Purim, a Purim where it would be possible to keep our promise by bringing Rabbi Nachman who is the only one that can lead this generation. God will fail if when the dust settles there are not 600 000 Jews saying Na Nach Nachma Nachman Me Uman----- please Rest in Peace Nachman from Uman! G-d needs you to say NA NACH because only this way can he prevent the Safan from throwing out of his celestial throne.